Feel Good from MAM combines the proven MAM quality with the advantages of a glass bottle. 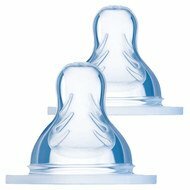 The premium glass used is easy to clean and very heat resistant. You can easily clean the bottle in the dishwasher, sterilize it in the vaporizer or heat it in the bottle warmer. 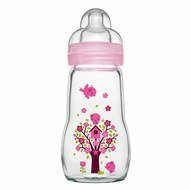 The bottle with the trendy tree motif is extra wide and is therefore particularly safe. 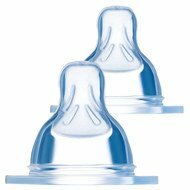 Thanks to the wide opening of the bottles, it is also very easy to insert. 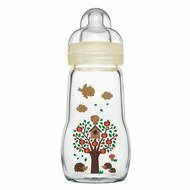 So that you always know how much your little one has drunk, the MAM glass bottle has a clear scale. Just like the protective cap, which can also be used as a measuring cup for milk powder. 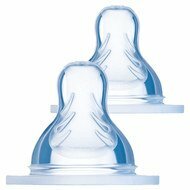 MAM's special soft silicone silk teat feels similar to skin - so you can switch between breastfeeding and bottle without any problems. 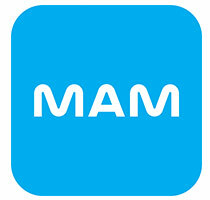 All MAM bottles are BPA-free in accordance with the European Union (EU) No. 321/2011. In times of collection changes in MAM, individual motif deviations may occur. Unfortunately, we have no influence on that. 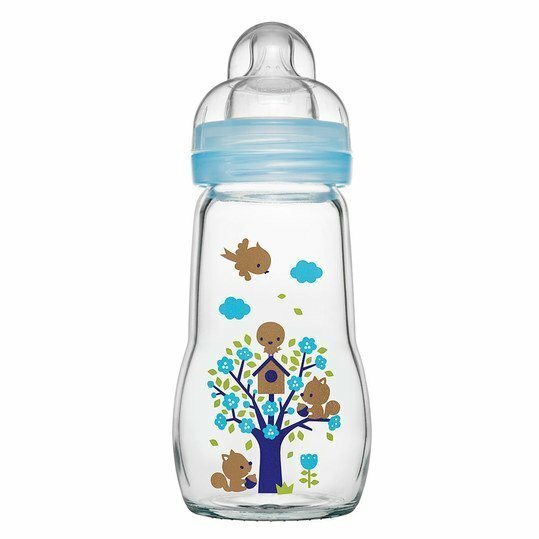 You will receive a bottle with a boy motif suitable for children. Glas-Flasche Feel Good 260 ml - Silikon Gr. 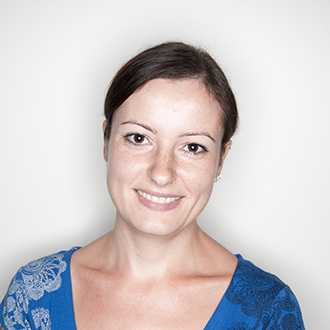 1 - Blau wurde bewertet mit 4.8 von 5 von 6. Rated 5 von 5 von Juli31 aus MAM Feel Good Glasflasche Super tolle Flasche!! 1. aus Glas (Sicherheitsglas) 2. nicht sehr schwer 3. passt viel rein=260ml (für Glasflaschen sehr viel) 4. einfach zu reinigen, da keine lästigen Kanten 5. sehr hygienisch, widerstandsfähig und lange Lebensdauer 6. diese Flasche liegt sehr schön in der Hand durch die Rundung 7. kein Kunststoff -> also KEINE schädlichen Stoffe !!!!! Kann diese Flasche nur empfehlen! Übrigens auch gut mit den Saugern von Lansinoh Momma kombinierbar! Meine Tochter kommt mit denen noch besser zurecht weil das Ventil immer 100% und leicht funktioniert, besser als mit/bei den MAM Saugern.